Jeremy Carter is managing partner at Carter DeYoung, one of the biggest law firms on Cape Cod. 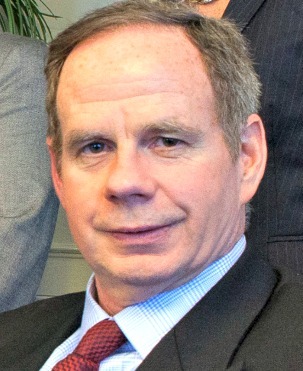 As a former police officer and special agent for the FBI, Attorney Carter offers clients a unique understanding of both sides of the law. With over 30 years of practicing law on Cape Cod and throughout Massachusetts, he has vast experience and deep expertise representing clients in a wide range of legal areas, both civil and criminal. I saw in these 2 days of trial your excellence in preparing for trial, identifying needed documentation and asking the right questions in trial that are relevant and do not take up the courts time unnecessarily with redundancies. Anyone seeking legal services is certainly well served by you! You are quite the dynamic team. I can see why you came highly recommended by my brother and should the occasion arise I will certainly recommend you. I appreciated very much your patience with “any of my resistance” and the skillful ways you helped me prepare for trial and bring the required documentation. Your research and knowledge truly made these difficult day more tolerable and restores my faith in the system. Realizing all is not finalized, I none the less feel like the day on your, my and Aida’s part could not have gone any better. Thanks for prevailing and persevering! Most people remember the first time they laid eyes on their soon to be ex-spouse, as clear as the first time they gazed into the eyes of the four-legged creature that would win over the hearts and minds of their family. In addition to issues of child support, and the division of money and property, who gets the dog, cat, iguana, et., can be one of the most hotly contested issues in a couple’s divorce. Where the pet will reside, how often each will be able to “visit”, and who will be responsible for medical bills, insurance, food, and other miscellaneous items all need to be decided. Future care of the family dog was an issue that arose recently in a divorce case, amongst issues of alimony and child support. As the couple’s assets were well-defined and not in contest, they chose mediation as a way of resolving their dispute over the dog. Initially, both wanted to keep the dog exclusively. The pet was acquired during the marriage and both had strong feelings towards it. In the end, Attorney DeYoung worked out an agreement. Each spouse had a right to the pet for a certain portion of the week and the costs associated with its care were divided according to the amount of time each spent with the animal. Decisions as to what medical care the animal would receive over a certain dollar amount were to be made jointly. If the couple could not agree, they would return to mediation. Mediation is premised upon full disclosure of all relevant information. The function of the mediator is to facilitate a resolution that both sides accept, but not to determine whether the agreement is necessarily fair to either party. 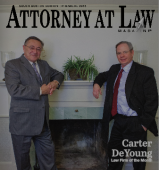 For help with your family issues, contact the Law Offices of Carter DeYoung. One common area, due to people’s affinity toward their pets, involves dog bites. Many people fail to realize Massachusetts is considered a “strict liability” state when it pertains to such incidents. “Strict liability” means that an owner or keeper of a dog is liable for any personal injury or property damage done by the dog, even if the owner or keeper is unaware of the dog’s viciousness, which is a common misconception. The dog bite statute does provide an exception to strict liability by stating “unless the damage shall have been occasioned to the body or property of a person, who, at the time of such damage was sustained, was committing a trespass or other tort, or was teasing, tormenting or abusing such dog.” A trespass occurs when an individual enters another person’s property without permission. Such a trespass may bar liability for a dog owner. Likewise, if a person is “teasing, tormenting or abusing such dog” for example, smacking the animal, that dog owner would likely not face any liability. I have successfully represented clients both as victims of dog bites and as dog owners. KEY POINT: The Massachusetts statute is intended to place the risk of harm upon the owner or keeper of the dog with few exceptions. While many people may not agree with “strict liability” it is the law in Massachusetts and dog owners should be aware of their rights and potential liabilities. You will be personally greeted and welcomed by a member of our Carter DeYoung staff. They determine which lawyer in the firm can best help you based on your individual situation and will then schedule a free initial consultation by phone or in person. Clients can work with our office, and in particular, the lawyer, to work out payment plans to ensure representation. At the Law Office of Carter DeYoung, you will find six talented, compassionate lawyers dedicated to their clients, one another, and the communities they serve.